Thankfully, once we move to the music itself, these considerations matter little. The Genesis port of the Battletoads soundtrack is easily the most successful adaptation of the idiosyncratic NES original. The score’s Amiga and Amiga CD32 ports had proven that simply taking the NES compositions and beefing them up using better synths didn’t work particularly well. This approach turned the score into a decent-to-middling action game soundtrack that was missing the original’s nervously pulsing, twitchy intensity. On the Genesis, Wise manages to avoid this issue, retaining the NES soundtrack’s character while subtly tweaking it. Firstly, there are those more straightforward compositions that would have always been easier to port to other systems. Take “Turbo Tunnel Race”, which on the NES had already been a flawless, beautifully head-banging hard rock track. Transferring it to the superior Genesis sound chip only means that the rhythm section’s single-minded focus on breathless racing action comes across all the more powerfully. Similarly, “Theme” doesn’t need much tweaking to rock harder than its NES equivalent, while preserving its strident, catchy nature. On other tracks, Wise straightens out the NES compositions’ peculiarities to emphasise the tracks’ melodic strengths. Take the Genesis version of “Volkmire’s Inferno Race” – the off-kilter rhythms and complexities of the NES cue are gone. However, they are replaced by laser-sharp pop instincts and a killer of a sing-along melody in the cue’s B section. That melody was of course already there on the NES original, but here it absolutely soars with unrestrained euphoria, thanks to an uncluttered arrangement and more powerful, clearer synths. Final level track “Revolution” takes a similar approach. It doesn’t undermine action game scoring conventions as much as the NES score did, but still registers as a creative and effective piece of game music. If the NES cue was full of anxiously jittering anticipation, the Genesis port sets the scene for the final showdown in more conventionally spectacular fashion. “Revolution”’s opening descending arpeggios are hiding a vaguely hopeful melody that is more strongly emphasised on the Genesis. At the same time, the Genesis-exclusive hammering snare drums doubling the arpeggiated notes only increase the drama and tension. “Rat Race” even improves on the NES original, with the Genesis’ more powerful tones deployed most effectively. With every instrument right in the listener’s face, the fast rhythms feel more panicked and breathless than on the NES. 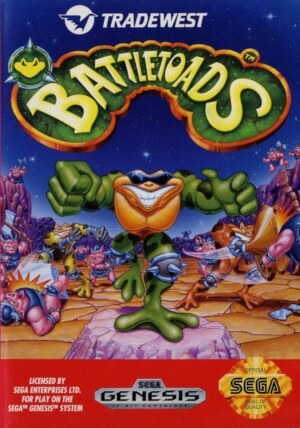 Still, much of the original Battletoads soundtrack was surprisingly moody and jagged. It also steadfastly refused to deliver much in terms of empowering melodies or rhythms. 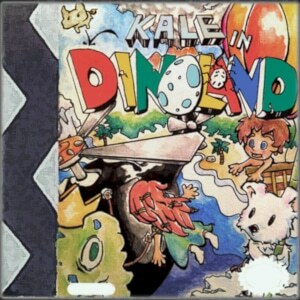 Porting the score to a 16-bit platform inevitably removes much of the original chiptunes’ haziness and their elusive nature that Wise made the most of. However, Wise finds a suitable replacement on the Genesis port to keep the music unpredictable. Again, the effect is not as strong as what the NES original achieved, but it’s still sufficient to keep listeners intrigued. Rather than simply relying on the Genesis’ more forceful synths, Wise uses the platform’s wider range of timbres to maintain the pieces’ unstable mood and uneven forward drive. First level track “Ragnarok’s Canyon” establishes this trait right away and “Wookie Hole” continues to fragment its momentum by switching back and forth between instrumental colours. As a result, the larger instrumentation isn’t in the way of the music’s originally intended mood, but instead creatively twists it. Tracks like “Surf City”, “Karnath’s Lair” and “Intruder Excluder & Terra Tubes” might stick closer to racing action scoring than the NES originals, but they maintain the NES tracks’ erratic, yet effective stop/start dynamics. “Surf City” makes the most pronounced use of contrasting timbres to break up its own flow. From 0:35 onwards, its lead melody suddenly shifts back and forth between a bell-like instrument and bass synths – never sacrificing its thrust yet keeping the track’s progression a surprise. And thanks to the Genesis’ more robust synths, sudden changes of pace and rhythm register with more force than previously. So while the NES original remains the more creative score, the Battletoads soundtrack for the Genesis is still an excellent, sometimes intriguingly eccentric piece of action game scoring.